Making Christmas cake is a given at my home, everyone loves it and everyone expects me to make it every December, this includes my four year old now, who has caught on the Christmas bug from the carols he sings at school, the fairy lights on our home Christmas tree that he gleefully claps at (when they are lit every night) and fragments of last years Christmas cake that he surprisingly remembers. 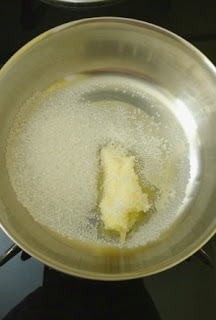 I'd always wanted to make a Christmas pudding but was always put off by the eight plus hours of cooking time, this changed two years ago when I combined four recipes from the internet and created my own, reducing the cooking time to just 90 mins and replacing traditionally used suet with cold grated butter. The outcome was pure perfection save for the almost black colour as I didn't have any molasses or treacle on hand. As I dint write this blog back then I took a few pictures of the pudding decorated it with fresh strawberries and sent it to all my girl friends who couldn't stop ooing and aahing and asking for the recipe. As last year was my first Christmas as a blogger I posted my favourite Christmas Cake recipe, so this year its time for Christmas Pudding. Christmas pudding is a type of pudding traditionally served as part of the Christmas dinner in Britain, Ireland and in some other countries where it has been brought by British emigrants. It has its origins in medieval England, and is sometimes known as plum pudding or just "pud". Despite the name "plum pudding," the pudding contains no actual plums due to the pre-Victorian use of the word "plums" as a term for raisins.The pudding is composed of many dried fruits held together by egg and suet, sometimes moistened by treacle or molasses and flavoured with cinnamon, nutmeg, cloves, ginger, and other spices. It is aged for a months or even a year as the high alcohol content of the pudding prevents it from spoiling during this time. 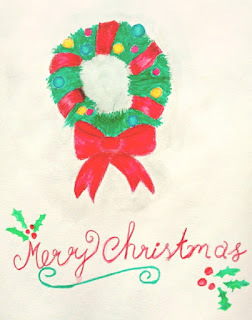 There is a popular myth that plum pudding's association with Christmas goes back to a custom in medieval England that the "pudding should be made on the 25th Sunday after Trinity, that it be prepared with 13 ingredients to represent Christ and the 12 apostles, and that every family member stir it in turn from east to west to honor the Magi and their journey in that direction"
Christmas Pudding on its own is quite a dry dessert and requires a sauce to go with it. 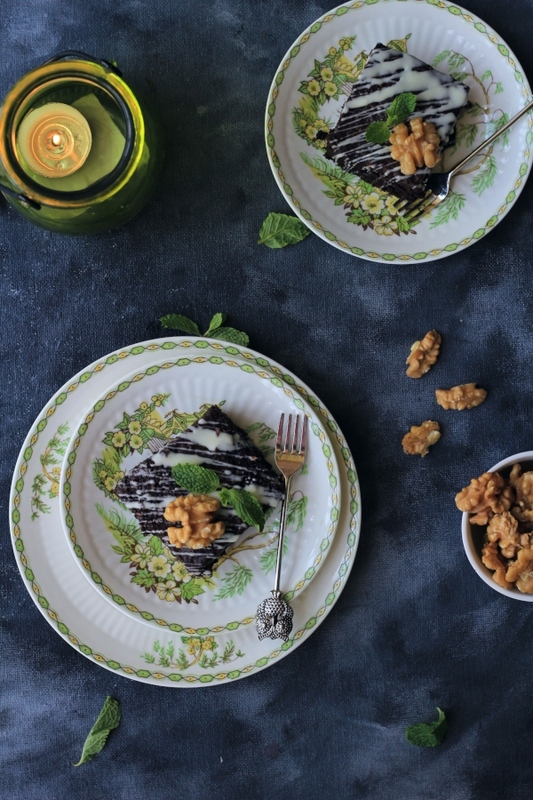 Delicious Brandy or Rum Sauce is prepared for the same and poured atop a slice of this spicy dessert. 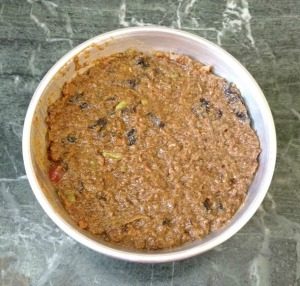 Into a bowl place the raisins, sultanas, dates, currants, cherries and candied peel, add the zest of an orange and a lime. Pour on the rum, mix together thoroughly and cover. Leave to absorb all the liquid overnight so the fruit becomes nice and plump. The next morning in another bowl place the sugar, breadcrumbs, butter and flour. Add the nutmeg, ginger, cinnamon and cloves. Pour in the dried fruit that has been soaking overnight. Grate the apple and add to the dry ingredients. 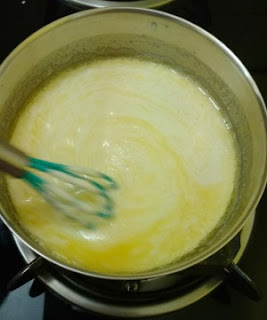 Now add the egg and mix through thoroughly. Pour the mixture into a greased pudding basin and push down firmly. 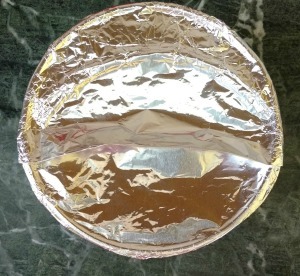 Cover with a circle of Waxed paper and then aluminium foil that has a pleat in it. To cook your pudding you can either take a large pan and place a saucer upside down in the bottom. Add water so that once the pudding bowl is added it comes half way up the sides. Place the pudding onto the saucer and bring the water to the boil. 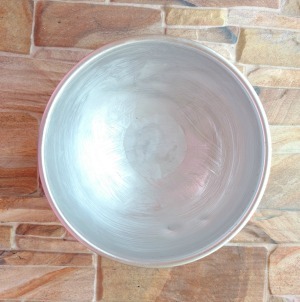 Cover the pan with a lid and gently steam for 6 hours. OR you can use a pressure cooker. 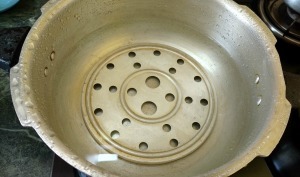 Place the trivet in the bottom of the cooker and again add water to come half way up the bowl. 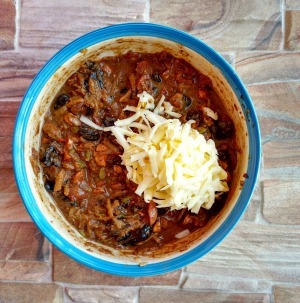 Close the pressure cooker and steam for 1 and a half hours. When the right amount of time has passed, carefully remove the pudding. 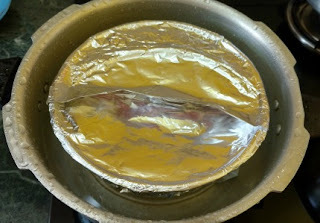 Allow to cool and change the waxed paper and foil lid. Store in a cool dry place and your pudding will be ready for the main event on Christmas day. 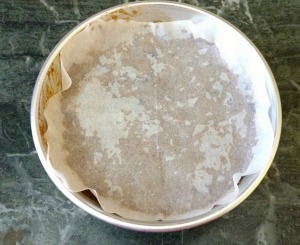 Christmas puddings can be made well in advance to allow the flavours to mature. Traditionally they were made the year before and kept for the whole year. 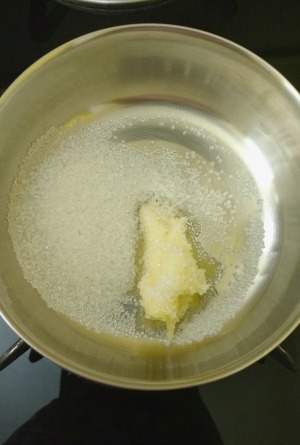 Start by heating sugar with butter in a small pan on low heat. 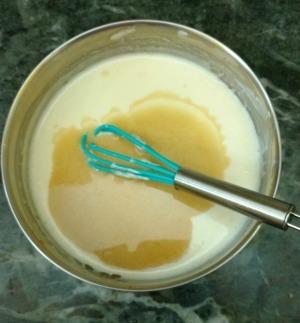 Once the sugar has dissolved, add in the cream and whisk well. Now remove the pan from the heat and add in brandy or rum or any essence of your choice. To Serve, cut a big slice of your boozy pud and drizzle a good glug of the sauce on top! 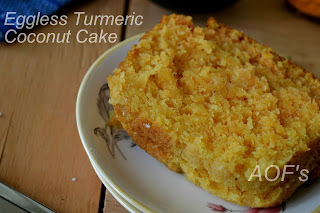 Also, do not forget to checkout Sweta's original Eggless Turmeric Coconut Cake at her blog Oriya Rasoi.